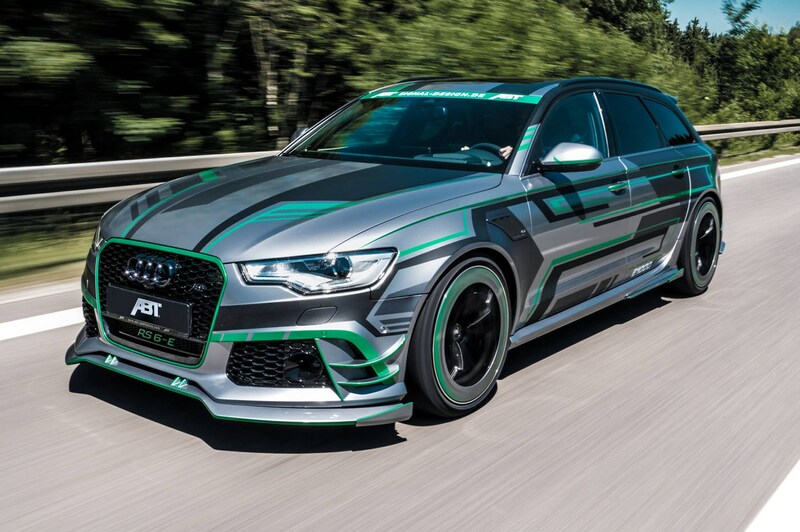 This has to be the most extreme Audi RS6 Avant ever, right? 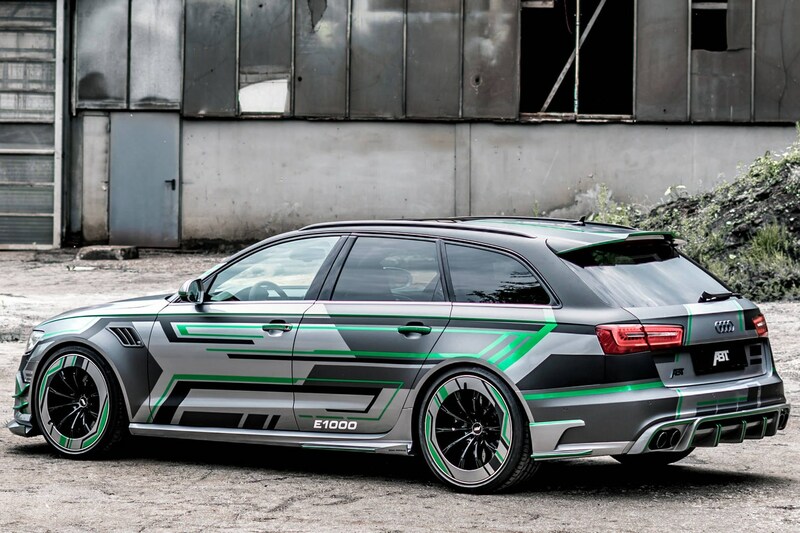 This is the ABT Sportsline RS6-E – a working prototype of a hybrid powertrain crammed into the platform of the already very fast sports estate. 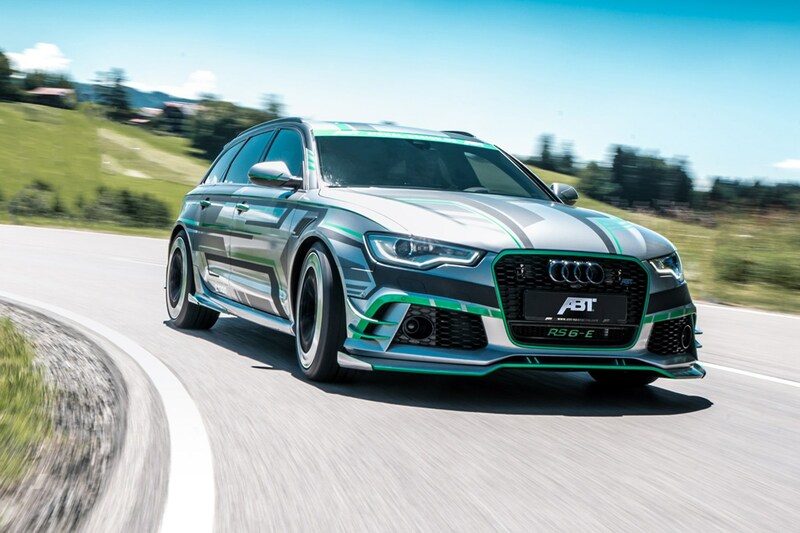 ABT’s electrified RS6-E cranks out a total of 1004bhp (or 1018PS) and 952lb ft via both an upgraded version of the RS6’s 4.0-litre twin-turbo V8 and an electric power system. The upgraded engine produces 720bhp alone (up from the standard RS6’s 552bhp) via an ABT engine remap and bespoke exhaust system. Electric power is available on demand via what ABT calls ‘the Magic Button’ on the steering wheel, rather than incorporated into the car at all times. A total of 284bhp and 234lb ft of torque smashes into the powertrain over 62mph when you press said button. ABT’s ‘e-Line’ department, which takes most of the charge for Audi’s Formula E team, particularly influenced ABT’s decision to build the silver and green working prototype. 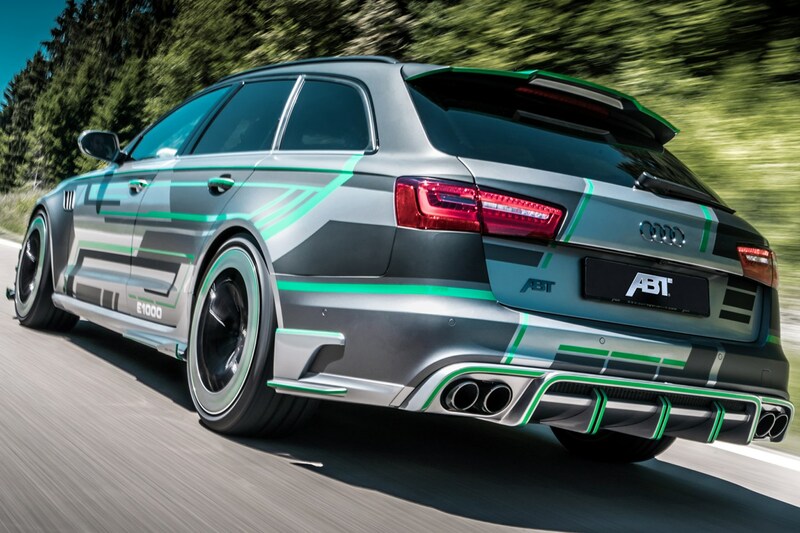 The wrap is designed to look like a printed circuit board, and uses ‘AERO rings’ on the 21-inch alloys. Tweaked aero features, as does a H&R suspension kit that ‘ensures appropriate lowering of the chassis.’ Yikes.